Description This College Park, Georgia hotel has an outdoor pool, free internet access, non-smoking guest rooms and an on-site restaurant. 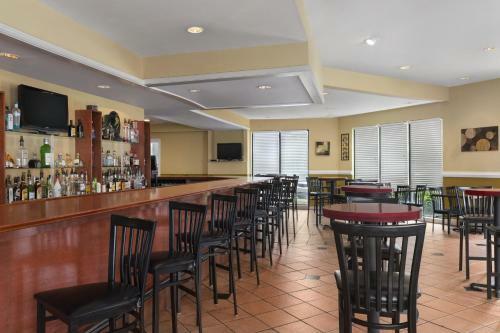 Breakfast on the house free Wi-Fi attractive accommodations and a free airport shuttle are high points of Country Inn & Suites by Carlson Atlanta Airport South GA. 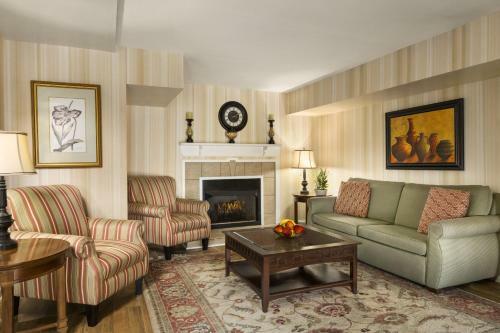 The four-floor 161-room Country Inn & Suites by Carlson Atlanta Airport South GA is both stylish and homey GÇö front porch with rocking chairs included. 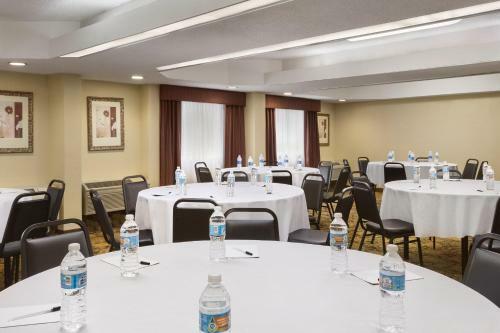 The warm inviting accommodations come complete with free in-room Wi-Fi microwaves and mini-fridges plus ample workspaces and sophisticated modern decor. 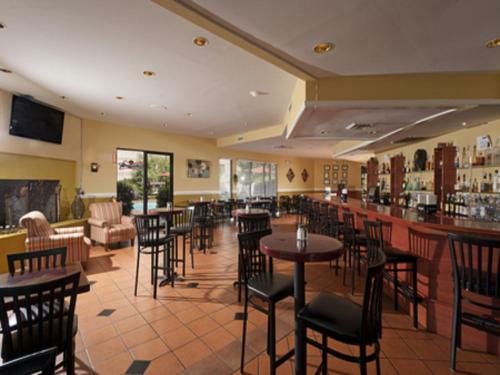 Food-wise you're in good shape starting with a complimentary breakfast that includes offerings for hearty appetites and health-conscious guests alike. Expect to find oatmeal fresh fruits grits muffins pastries and more each morning. Later in the day lunch dinner and drinks are on tap at the on-site bar-and-grill. 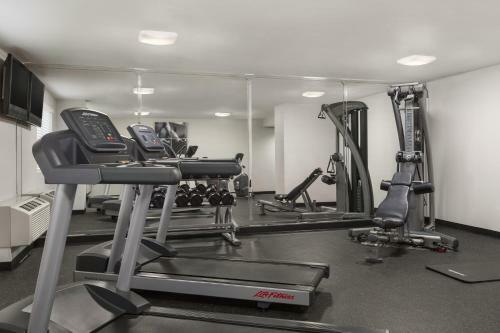 Other perks include a business center fitness center complimentary 24-hr. 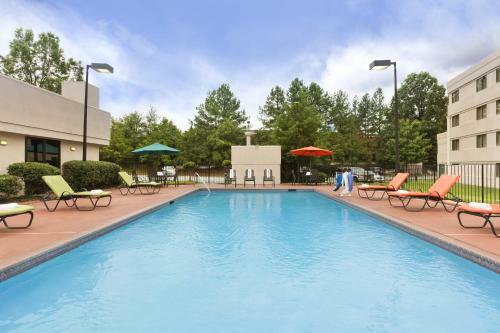 airport/Marta shuttle service and outdoor seasonal pool. Parking is free. 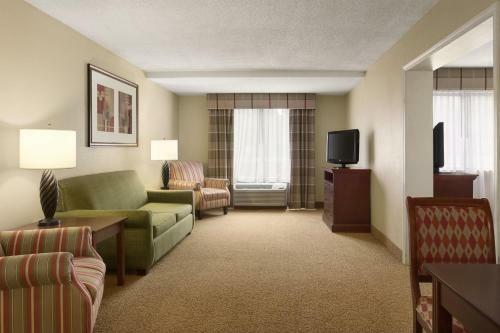 Whether you're hitting the road or the friendly skies this location works being just off I-285 and less than a two-mile ride to Hartsfield-Jackson Atlanta International Airport and MARTA. Within a 20-minute drive you can be hitting the sites of downtown and Midtown including High Museum of Art Georgia Aquarium Zoo Atlanta and the World of Coca-Cola. 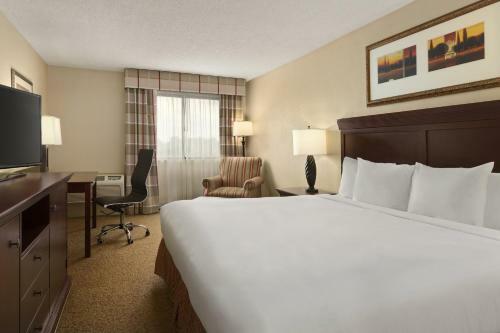 The hotel also happens to be less than a 10-minute drive from the Georgia International Convention Center and next door to the ECFMG Clinical Skills Assessment Center. 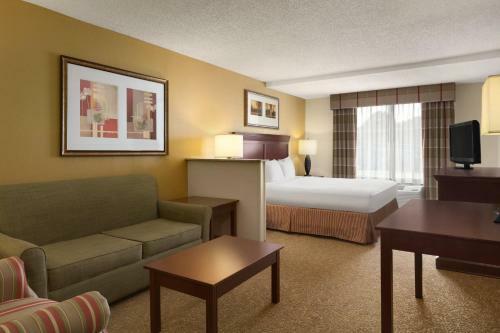 Add Country Inn & Suites By Radisson Atlanta Airport South Ga to your free online travel itinerary.